I’ve been pretty into my microbiota lately. Does that sound strange? Did you know that you have more bacterial cells in your body than you have human cells? Our bodies are adapted to work synergistically with the millions of beneficial bacteria to keep us healthy, which is why everyone seems to be taking probiotics these days (with varying levels of success). So I was kind of intrigued when I heard about TULA and their line of probiotic skincare products. At the time, TULA was promoting some of their new Kbeauty inspired- exfoliating pads, so they sent me a bunch of exfoliating products — their 10% glycolic acid gel, their exfoliating mask, and the exfoliating pads, along with their foaming cleanser. I wanted to try their non-exfoliating products too so I could give a more balanced review, so they generously also sent along deluxe samples of their bestselling face cream and eye cream. Before I get into the product reviews though, let’s chat a bit about probiotics in skincare, shall we? Note: I received these products for free to review. This is not a paid post and all opinions are my own. This post contains affiliate links. Purchasing a product through these links generates a small commission that helps support this blog, at no extra cost to you. Research indicates that people who suffer from skin conditions like acne and rosacea often have some kind of disruption in the microbiota of their skin. They tend to have fewer of the “good” bacteria and more of the “bad”, blemish-causing bacteria, like staphyloccoccus aureus. It’s not clear exactly why some people seem to have a healthier skin microbiome than others (though I can guess that it’s probably a complex array of factors, such as diet, stress, cleansing, hormones, etc…). That’s why brands like TULA and others are trying to harness the power of probiotics to improve the levels of “good” bacteria on the surface of the skin. TULA was founded by a gastroenterologist who practices in New York and is trying to replicate the same success with probiotics in skincare. Do Probiotic Skincare Products Contain Live Bacteria? My first thought when I received the TULA products was, “will these go bad?” I needn’t have worried. While some probiotic skincare brands do include live active bacterial cultures, TULA products do not. Instead they use bifida ferment lysate (and in some products, other lysates), a fermented extract that contains dead bacteria as well as a variety of proteins and skin-friendly substances. Don’t be grossed out by the thought — there’s actually good evidence that bacterial lysates can benefit the skin! Beneficial ingredients in probiotic bacterial lysates include hyaluronic acid, sphingomyelinase, lipotechoic acid, peptidoglycan, lactic acid, acetic acid and diacetyl. Hyaluronic acid improves moisturization and barrier function, while sphingomyelinase upregulates ceramide production. Lipotechoic acid and peptidoglycan stimulate the production of antimicrobial peptides (AMPs), including beta defensins, and stimulate innate immunity via induction of toll-like receptors (TLR). Diacetyl is antibacterial against gram negative pathogens including Pseudomonas and E. coli. Acetic acid also has antibacterial effects. Lactic acid acts as a natural moisturizing factor and antimicrobial, and acts on epidermal and dermal remodeling. Thus, bacterial cell lysates provide broad biologic activity that can be harnessed to provide skin benefits. Is Probiotic Skincare A New Thing? Well, it seems to be a new craze in Western skincare, but fermented skincare (including bifida ferment lysate, the probiotic ingredient in TULA) has been a feature of Asian skincare brands for many years. Brands like SKII, Missha, and IOPE have super popular “first essences” that are mostly made up of fermented extracts. Korean plant-based beauty brand Swanicoco actually has an essence that is 99% bifida ferment lysate! Asian products tend to emphasize the nutritive and hydrating aspects of fermented skincare, rather than the anti(bad)bacterial or “probiotic” benefits. I think it’s great that a US-based brand like TULA is doing research into using probiotics in skincare and I really hope to see even more great innovative products from them. While they weren’t the first to use probiotics and ferments in skincare, they’ve definitely put probiotics on the map in the North American beauty world. While more research is needed, it seems that Western researchers are interested in developing probiotics and prebiotics (nutrients that foster the growth of good bacteria) as a treatment for acne and other skin ailments. I really think it would be an amazing thing if probiotics could eventually replace antibiotics as an acne treatment. Boy, this post is turning out super long. I’m just going to give some mini reviews of the TULA skincare products for the sake of space. In general, they have really excellent ingredient lists with lots of beneficial ingredients as well as probiotics, so I have few complaints on that front! The TULA Purifying Face Cleanser is a really lovely gentle foaming cleanser. It’s a clear gel that creates a really fluffy foam. It cleanses my skin without making it feel stripped. I’m not sure how helpful the probiotics are here, since it’s a wash-off product, but they can’t hurt. The TULA exfoliating mask is a lightly scrubby clay mask that contains bentonite and kaolin clays to absorb excess oils and purify the skin. It’s a soft clay mask that felt deliciously creamy. You leave it on for just 5 minutes before rinsing it off, massaging all the while so that the round scrubby bits can exfoliate your skin. I loved how gentle this mask was, and that my skin didn’t feel dried out. It has some great ingredients, including shea butter and plant oils to prevent skin from getting dried by the clay, as well as bifida ferment lysate and yogurt extract. I really wasn’t expecting to love this mask so much, as clay masks are often too drying for me, but the TULA Exfoliating Treatment Mask really delivered and I’d highly recommend it. The TULA exfoliating pads were inspired by the exfoliating pads popular in Korea. They contain a solution of lactic acid, probiotics (lactococcus ferment lysate), papaya extract, and willow bark extract to “chemically” exfoliate the skin in addition to the “physical” exfoliation provided by the pads. I didn’t love the physical design of the pads to be honest — they had a papery middle layer that was a bit stiff. The solution itself was very gentle, which can definitely be a plus. These weren’t my favorite but they were okay. In contrast to the pads, I didn’t have any lukewarm feelings about the TULA Pro-Glycolic 10% Gel. I LOVED it. I love liquid peels in general, and like that they can be easily layered on with my other products. Rinsing off isn’t necessary — you just apply the gel with a cotton pad and you’re good to go. I found this to be very gentle but effective — it didn’t make my skin raw or irritated, but it effectively made my skin look smoother and more glowy. Definitely a candidate for repurchase! And the price is really good too at $34. If you’re looking for a gentle but effective glycolic acid exfoliator, I’d recommend this one! This is TULA’s bestselling cream that is targeted to all skin types — I personally felt it was more suitable for combination or normal skin. If your skin is oily it might feel too moisturizing, and if your skin is very dry it might not be moisturizing enough (you could add a drop of facial oil). It does have some great ingredients like bifida ferment lysate, yogurt extract, rice protein, apple and watermelon extracts, etc… I thought it did a decent job moisturizing, but didn’t absorb as deeply as I’d like — I had to add several hydrating layers before using the cream to get enough moisture (but my skin is particularly dehydrated). Overall, this was a solid product, but didn’t completely blow me away. The TULA Eye Serum surprised me by how much I loved it. It’s a refreshing light eye moisturizer that is hydrating but light, with a gel-cream texture. It has some great anti-aging ingredients like peptides, retinol, and antioxidants, a few kinds of probiotic lysates, and lots of botanical extracts. Mostly though, it just feels wonderfully cooling and refreshing under the eyes, and I feel that it reduces puffiness in the morning. Again, another favorite from this line. 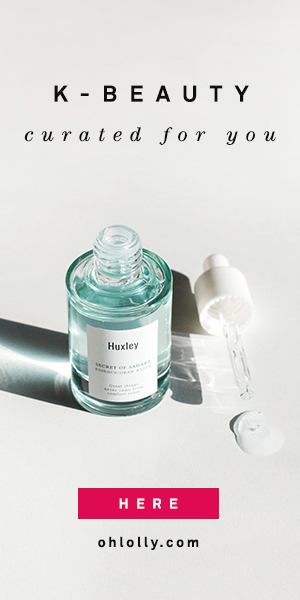 It’s a bit pricey, but as someone who has searched in vain for a calming eye product that doesn’t irritate my eyes and feels hydrating and depuffing, I do feel it’s worth it. There were some definite winners from the TULA Probiotic line — in particular, I absolutely loved the Exfoliating Treatment Mask, the Pro-Glycolic Gel, and the Eye Renewal Serum. In general, all the products seem to have solid ingredient lists with few, if any, known toxins or irritants. I’m happy with the inclusion of bacterial lysates, which allow the formulation of a stable product (since they’re not active cultures), but still confer probiotic benefits. Buy it at: Dermstore or the TULA Site. Note: This post contains affiliate links. Purchasing a product through these links generates a small commission that helps support this blog, at no extra cost to you.